I was on the LM website 3 or 4 days ago and came across a page that had herbs & such grouped & listed by purpose. It was late at night and I had a paper to finish...I meant to bookmark the page but called it a night before doing so. While sleeping my computer processed some updates, restarted itself....and I have not been able to find the page again....and I've now been looking for 2 days. Hahahah you wouldn't believe it, but the exact thing happened to me.. Twice! 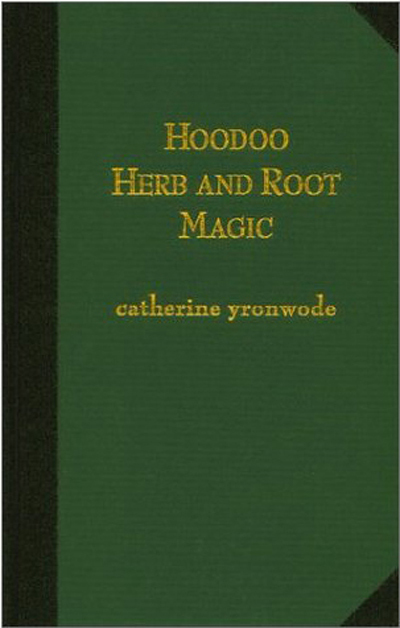 You could also buy Cat's book Hoodoo Herb and Root Magic to get more information on herbal spells. Also, you don't have to turn on your computer! Got the book...and hoping to take the course REAL soon! curious what anyone's opinion is regarding pairing certain roots together as male and female companions in love work. right now, i'm on the path of high john the conqueror matched with angelica or ginseng matched with queen elizabeth root. any thoughts or opinions are appreciated! much love and luck to everyone! Too bad that Adam and Eve Roots is no longer available! I personally was taught that High John is matched with Queen Elisabeth while Angelica finds her match with Ginseng. When in doubt ask the root! that's funny, because right after i posted this, i thought... well, they could go the other way around! i will sit on their purpose some more and see what they say! John the Conqueror goes with Queen Elizabeth. Angelica goes with Ginseng. This is based on tradition, and when you actually hold the roots, you may smell why. You may also see why. Conqueror and Queen have a certain resonance that Conqueror and Angel Root do not. But Angel Root and Wonder of The World do have a verbal resonance. I am a worker and several months ago I called The Lucky Mojo Shop. I asked if you all have squill root and I saw that it was one of the ones listed in HOODOO HERB AND ROOT MAGIC. The response I got was just because it is in the book does not mean that we have it. 1. Some traditional hoodoo herbs are endangered species and it is against the law to harvest them in the wild, but you could grow them yourself. Adam and Eve Root and Gall of the Earth are in this category. 2. Some traditional hoodoo zoological curios are obtained through cruel and destructive methods, and we refuse to obtain them in traditional ways. The black Cat bone (which traditionally must be obtained from a Cat that is boiled alive) is one such item. 3. Some traditional hoodoo herbs and minerals are dangerous or toxic and not readily available for this reason, nor would we carry them if they were available. Squill root is one of these, as are liquid Mercury, Bluestone (Copper Sulphate),and Gunpowder. We have simply chosen not to carry them, as we do not want the responsibility of people poisoning or harming themselves with these items. Thank You Miss Cat for the list. This answers a lot of questions! I have been an ignorance that I only used oils to burn candles. Then I got a few weird dreams in a row that I messed with herbs in the forest. I then had a psychic reading and the spirit guides of psychic told me that if I burn candle to do spells, I need to follow the instruction properly. So, I would like to ask what herbs and roots are best for business ? Just to name a few. Of course the type of business may incorporate some of these herbs as well as couple others. Be sure to check out Hoodoo At A Glance for a quick reference, and Hoodoo Herb and Root Magic for more detailed uses of herbs to work with. Best of luck. The Herbs that have been listed can be worked with to help increase business. Also, be sure to read the thread Spell-Casting for Online Business Ebay Etsy Web Site for ideas of work you can apply to your online business. Just wondering what herbs are best to use for Reversing all Witchcrafts that includes all Voodoo doll spells, black magic, all living things, all evil spirits and evil entities, all illnesses including a full body Eczema and all financial misfortunes, legal problems, relationships with employers, relationships with friends, love life, residency of the apartments? I have been under attack daily and nightly for a year and a half now. She even attack me when I was trying to get Food Stamps. But I am done ignoring this hired Voodoo practitioner. i have asked my ancestors if they will be do the reversal candles with me and they said yes 4 times. Please let me know what are the best herbs for reversal all witchcrafts other than Agrimony. Thank you, and all responses are greatly appreciated. Hello, here are some herbs you can try. I also would like to add, that if this is a recurring problem and you want to reverse all the mess. Then you can try a mirror box spell. It will keep everything evil they do bouncing back to them, hurting them each time they try to hurt you. Also, don't forget to clean the mess they sent to you, by uncrossing yourself. Do I put blackberry leaf into candles? Yes, crush it up and use it lightly, not too much. I would like to know which herb is best for unbinding (to clear blockages and or open closed ways - not for love bindings) and if there is an specific oil or powder that would have a better effect regarding breaking strong bindings. I thought about Devil's Shoe Strings and Van Van oil but I'm not sure... Thank you very much. Please take a look at the herbs. Then, if you have any questions, we'll be more than happy to help you. Devil's Shoe String is one of my favorite herbs; it is just the right thing for binding ... your enemies. By tripping up the devil (and his human allies) it can keep them out of your way while you go about your business. Van Van is a traditional formula for road opening. For "breaking strong bindings," though -- which we also call being "crossed up" or suffering "crossed conditions" -- I like Jinx Killer. Its most traditional use is to sprinkle it right on top of any nasty mess that has been thrown down for you, and then get rid of it. For more general clearing-up of evil messes, whether or not you find any tricks laid down, you can use Uncrossing. Eucalyptus is also good for this purpose. What herbs could i used in a honey jar spell to get more fiery kisses from my girlfriend ? 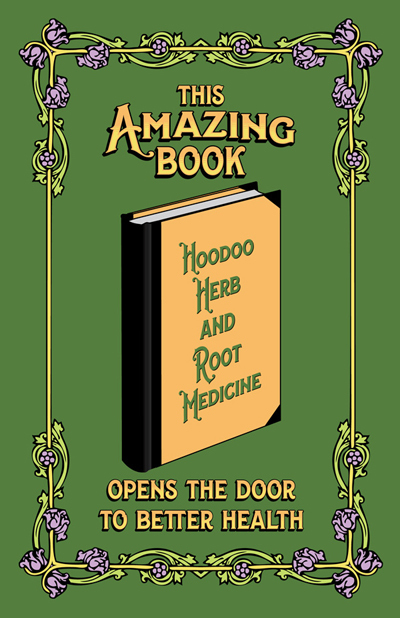 Check out Hoodoo At A Glance as it will provide some good list of herbs you may consider. What are some herbs and things that correspond to the "Destruction" purpose, that I could use to stuff a poppet for that purpose? I'm interested in herbs but also if there are any other things that you carry like specialty roots or trinkets that I could use also, in a poppet or in a mojo bag perhaps. Please read the posts here for your answers. Thank you - I don't know why I missed this link to that page. But I looked there and I didn't see anything for "Destruction". Are there herbs in your shop that go for that particular purpose? I am curious to get some feed back about something I ran across and has turned into a bit of a ghost chase. There is a long history of using herbs for things not "nice." Form cursing death to simply making mischief. What I can never find is a source that will list which herbs have what type of curse influence. Very rarely online on in books it will say an herb is used for cursing, such as Belladonna. What it is not saying is how or what kind of curse. The more I look and don't find the more intrigued i get as to what I am missing. 1) Is there a source that has those listed? 2) Am I reading the normal sources incorrectly? Not every culture uses herbs for the same magical (or medical) purposes as every other culture, so you never find one authoritative list. Also, even if herbs have the same symbolic meanings between two or more cultures, the method of spell-casting may vary by culture, so, again, you will not find one set of spells. Awesome that list is very helpful! Thank you. I could really use some advice. I am learning about love herbs and am curious to know which herbs engender playful or flirtatious love. Any help you can provide me is greatly appreciated! I have moved your post to the correct topic on choosing herbs and roots by condition. Please do not start new topics as it creates clutter on the board and is against forum rules. Please read through the posts here and click on the links for the grimoire on herbs and roots by condition, and also consider purchasing Miss cat's excellent books (including the "Green Bible" on herbs, roots and their uses). You will find all of the information you're looking for among these resources. Once there you can click the names (which are links) and read the web pages she has written about them.